Chinese lanterns are a beautiful decoration that can be used in weddings, birthdays or any party or holiday. They can be hung individually, in groupings, in a row and even placed along tables as an eye-catching centerpiece. 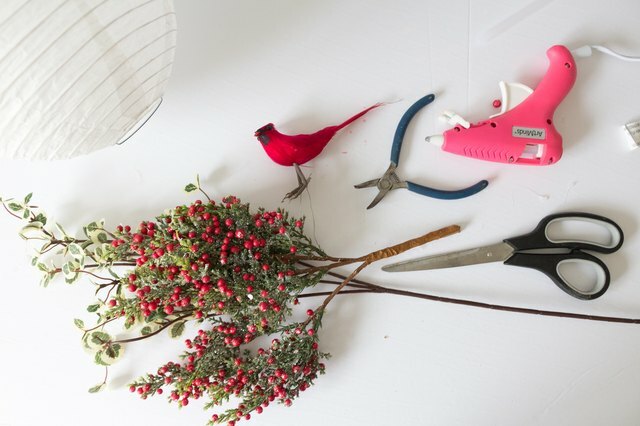 They are also easy to convert into gorgeous decor items by simply adding materials commonly found at the craft store. 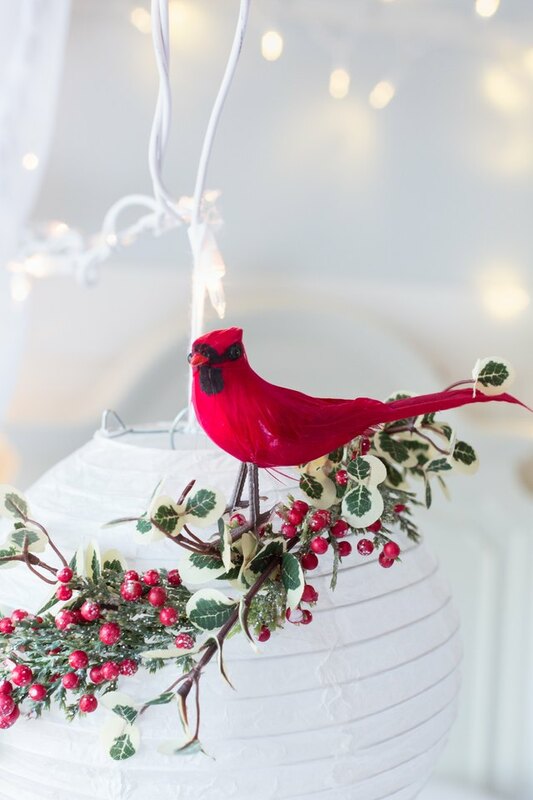 From glitter to paint, or faux berries and a sweet little red cardinal as we have done here to create a whimsical Christmas lantern. Separate the picks using scissors or pliers. 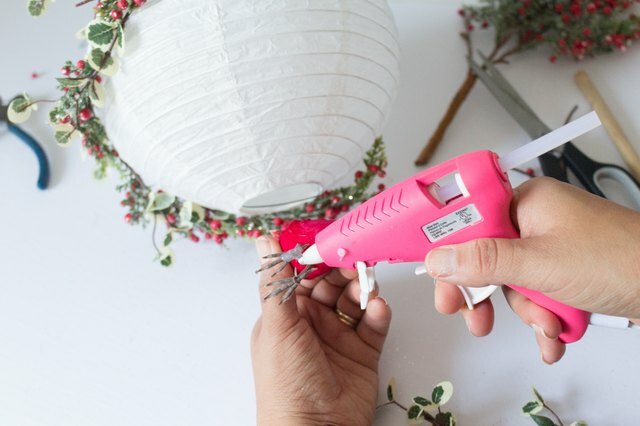 Apply hot glue along the stem of twig. 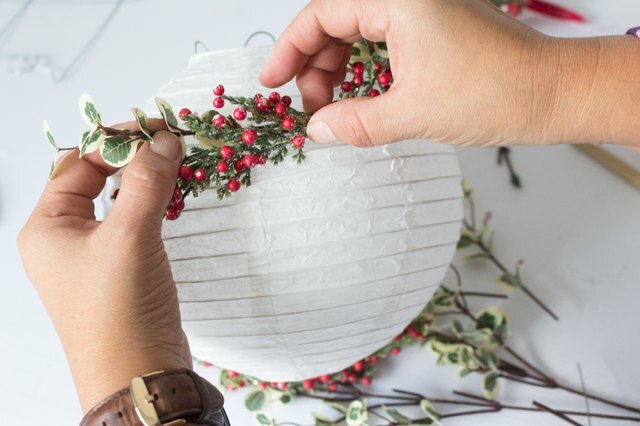 Adhere the twig to the paper lantern and continue to glue additional twigs as desired. These particular twigs were glued around the lantern. 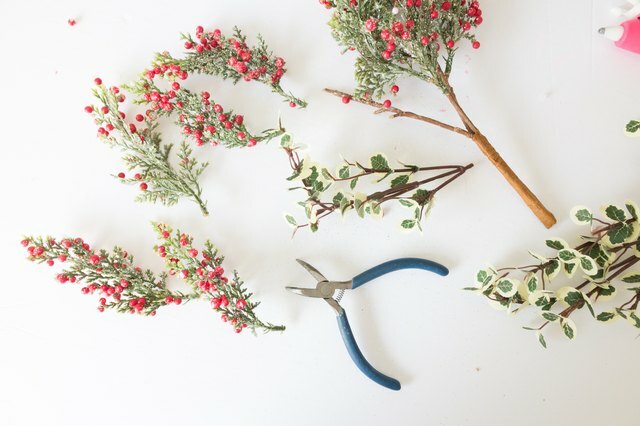 Cut more leaves if desired. 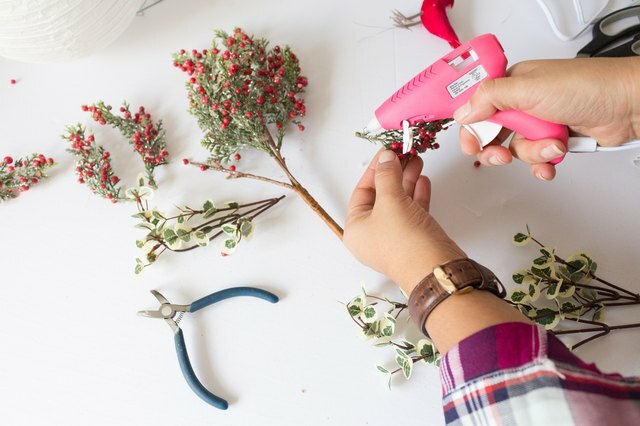 Apply hot glue to the leaves and apply leaves underneath previously glued stems. 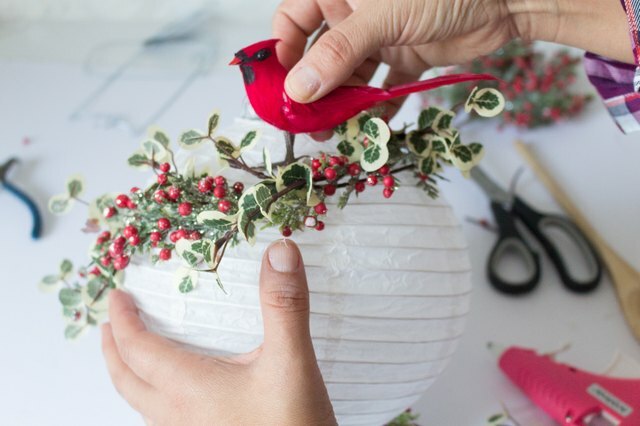 OPTIONAL: Apply hot glue to the bottom of an ornamental bird. 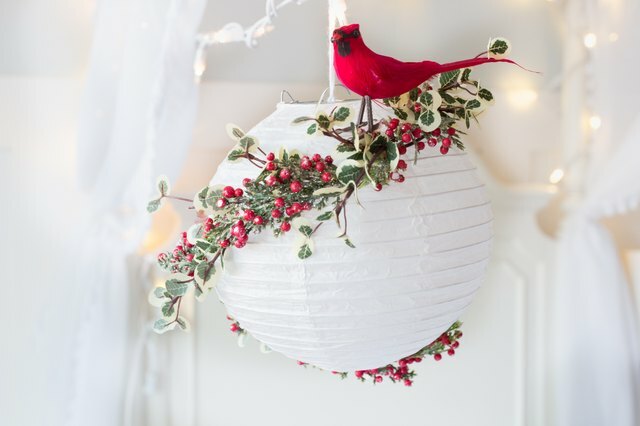 Adhere ornamental bird onto the lantern.